Happiness is so interesting, because we all have different ideas about what it is and how to get it. It’s also no surprise that it’s the Nr.1 value for Buffer’s culture, if you see our slidedeck about it. So naturally we are obsessed with it. I would love to be happier, as I’m sure most people would, so I thought it would be interesting to find some ways to become a happier person that are actually backed up by science. Here are ten of the best ones I found. You might have seen some talk recently about the scientific 7 minute workout mentioned in The New York Times. 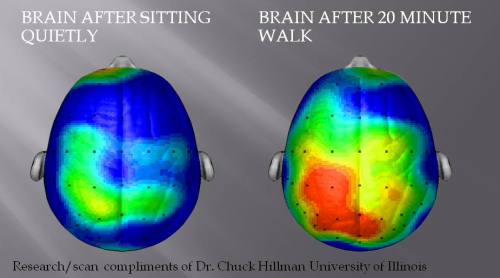 So if you thought exercise was something you didn’t have time for, maybe you can fit it in after all. Exercise has such a profound effect on our happiness and well-being that it’s actually been proven to be an effective strategy for overcoming depression. In a study cited in Shawn Achor’s book, The Happiness Advantage, three groups of patients treated their depression with either medication, exercise, or a combination of the two. The results of this study really surprised me. Although all three groups experienced similar improvements in their happiness levels to begin with, the follow up assessments proved to be radically different: The groups were then tested six months later to assess their relapse rate. Of those who had taken the medication alone, 38 percent had slipped back into depression. Those in the combination group were doing only slightly better, with a 31 percent relapse rate. The biggest shock, though, came from the exercise group: Their relapse rate was only 9 percent! A study in the Journal of Health Psychology found that people who exercised felt better about their bodies, even when they saw no physical changes: Body weight, shape and body image were assessed in 16 males and 18 females before and after both 6 × 40 mins exercise and 6 × 40 mins reading. We know that sleep helps our bodies to recover from the day and repair themselves, and that it helps us focus and be more productive. It turns out, it’s also important for our happiness. In NutureShock, Po Bronson and Ashley Merryman explain how sleep affects our positivity: Negative stimuli get processed by the amygdala; positive or neutral memories gets processed by the hippocampus. 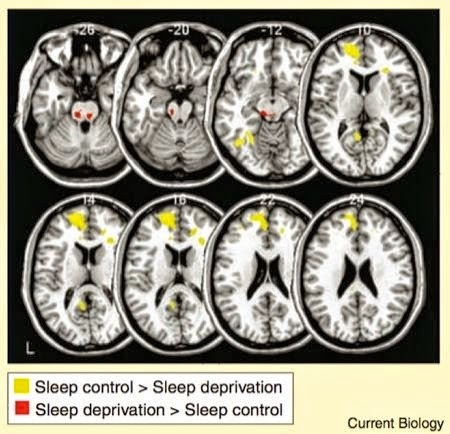 Sleep deprivation hits the hippocampus harder than the amygdala. The result is that sleep-deprived people fail to recall pleasant memories, yet recall gloomy memories just fine. In one experiment by Walker, sleep-deprived college students tried to memorize a list of words. They could remember 81% of the words with a negative connotation, like “cancer.” But they could remember only 31% of the words with a positive or neutral connotation, like “sunshine” or “basket.” The BPS Research Digest explores another study that proves sleep affects our sensitivity to negative emotions. Using a facial recognition task over the course of a day, the researchers studied how sensitive participants were to positive and negative emotions. Another study tested how employees’ moods when they started work in the morning affected their work day. Researchers found that employees’ moods when they clocked in tended to affect how they felt the rest of the day. Early mood was linked to their perceptions of customers and to how they reacted to customers’ moods. And most importantly to managers, employee mood had a clear impact on performance, including both how much work employees did and how well they did it. According to The Art of Manliness, having a long commute is something we often fail to realize will affect us so dramatically: … while many voluntary conditions don’t affect our happiness in the long term because we acclimate to them, people never get accustomed to their daily slog to work because sometimes the traffic is awful and sometimes it’s not. Or as Harvard psychologist Daniel Gilbert put it, “Driving in traffic is a different kind of hell every day.” We tend to try to compensate for this by having a bigger house or a better job, but these compensations just don’t work: Two Swiss economists who studied the effect of commuting on happiness found that such factors could not make up for the misery created by a long commute. Staying in touch with friends and family is one of the top five regrets of the dying. If you want more evidence that it’s beneficial for you, I’ve found some research that proves it can make you happier right now. Social time is highly valuable when it comes to improving our happiness, even for introverts. Several studies have found that time spent with friends and family makes a big difference to how happy we feel, generally. I love the way Harvard happiness expert Daniel Gilbert explains it: We are happy when we have family, we are happy when we have friends and almost all the other things we think make us happy are actually just ways of getting more family and friends. George Vaillant is the director of a 72-year study of the lives of 268 men. In an interview in the March 2008 newsletter to the Grant Study subjects, Vaillant was asked, “What have you learned from the Grant Study men?” Vaillant’s response: “That the only thing that really matters in life are your relationships to other people.” He shared insights of the study with Joshua Wolf Shenk at The Atlantic on how the men’s social connections made a difference to their overall happiness: The men’s relationships at age 47, he found, predicted late-life adjustment better than any other variable, except defenses. Good sibling relationships seem especially powerful: 93 percent of the men who were thriving at age 65 had been close to a brother or sister when younger. In fact, a study published in the Journal of Socio-Economics states than your relationships are worth more than $100,000: Using the British Household Panel Survey, I find that an increase in the level of social involvements is worth up to an extra £85,000 a year in terms of life satisfaction. Actual changes in income, on the other hand, buy very little happiness. I think that last line is especially fascinating: Actual changes in income, on the other hand, buy very little happiness. So we could increase our annual income by hundreds of thousands of dollars and still not be as happy as if we increased the strength of our social relationships. The Terman study, which is covered in The Longevity Project, found that relationships and how we help others were important factors in living long, happy lives: We figured that if a Terman participant sincerely felt that he or she had friends and relatives to count on when having a hard time then that person would be healthier. Those who felt very loved and cared for, we predicted, would live the longest. Surprise: our prediction was wrong… Beyond social network size, the clearest benefit of social relationships came from helping others. Those who helped their friends and neighbors, advising and caring for others, tended to live to old age. This is pretty good news for those of us who are worried about fitting new habits into our already-busy schedules. Twenty minutes is a short enough time to spend outside that you could fit it into your commute or even your lunch break. A UK study from the University of Sussex also found that being outdoors made people happier: Being outdoors, near the sea, on a warm, sunny weekend afternoon is the perfect spot for most. In fact, participants were found to be substantially happier outdoors in all natural environments than they were in urban environments. The American Meteorological Society published research in 2011 that found current temperature has a bigger effect on our happiness than variables like wind speed and humidity, or even the average temperature over the course of a day. It also found that happiness is maximized at 13.9°C, so keep an eye on the weather forecast before heading outside for your 20 minutes of fresh air. when researchers interviewed more than 150 people about their recent purchases, they found that money spent on activities—such as concerts and group dinners out—brought far more pleasure than material purchases like shoes, televisions, or expensive watches. Spending money on other people, called “prosocial spending,” also boosts happiness. The Journal of Happiness Studies published a study that explored this very topic: Participants recalled a previous purchase made for either themselves or someone else and then reported their happiness. Afterward, participants chose whether to spend a monetary windfall on themselves or someone else. Participants assigned to recall a purchase made for someone else reported feeling significantly happier immediately after this recollection; most importantly, the happier participants felt, the more likely they were to choose to spend a windfall on someone else in the near future. So spending money on other people makes us happier than buying stuff for ourselves. What about spending our time on other people? A study of volunteering in Germany explored how volunteers were affected when their opportunities to help others were taken away: Shortly after the fall of the Berlin Wall but before the German reunion, the first wave of data of the GSOEP was collected in East Germany. A Visionary New Understanding of Happiness and Well-being, University of Pennsylvania professor Martin Seligman explains that helping others can improve our own lives: …we scientists have found that doing a kindness produces the single most reliable momentary increase in well-being of any exercise we have tested. Smiling itself can make us feel better, but it’s more effective when we back it up with positive thoughts, according to this study: A new study led by a Michigan State University business scholar suggests customer-service workers who fake smile throughout the day worsen their mood and withdraw from work, affecting productivity. According to PsyBlog, smiling can improve our attention and help us perform better on cognitive tasks: Smiling makes us feel good which also increases our attentional flexibility and our ability to think holistically. When this idea was tested by Johnson et al. (2010), the results showed that participants who smiled performed better on attentional tasks which required seeing the whole forest rather than just the trees. .A smile is also a good way to alleviate some of the pain we feel in troubling circumstances: Smiling is one way to reduce the distress caused by an upsetting situation. Psychologists call this the facial feedback hypothesis. Even forcing a smile when we don’t feel like it is enough to lift our mood slightly (this is one example of embodied cognition). 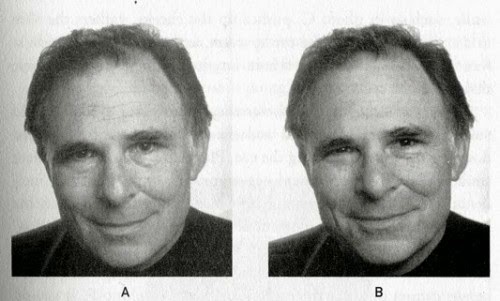 One of our previous posts goes into even more detail about the science of smiling. As opposed to actually taking a holiday, it seems that planning a vacation or just a break from work can improve our happiness. A study published in the journal, Applied Research in Quality of Life showed that the highest spike in happiness came during the planning stage of a vacation as employees enjoyed the sense of anticipation: In the study, the effect of vacation anticipation boosted happiness for eight weeks. After the vacation, happiness quickly dropped back to baseline levels for most people. Shawn Achor has some info for us on this point, as well: One study found that people who just thought about watching their favorite movie actually raised their endorphin levels by 27 percent. If you can’t take the time for a vacation right now, or even a night out with friends, put something on the calendar—even if it’s a month or a year down the road. Then whenever you need a boost of happiness, remind yourself about it. Meditation is often touted as an important habit for improving focus, clarity and attention span, as well as helping to keep you calm. It turns out it’s also useful for improving your happiness: In one study, a research team from Massachusetts General Hospital looked at the brain scans of 16 people before and after they participated in an eight-week course in mindfulness meditation. According to Shawn Achor, meditation can actually make you happier long-term: Studies show that in the minutes right after meditating, we experience feelings of calm and contentment, as well as heightened awareness and empathy. And, research even shows that regular meditation can permanently rewire the brain to raise levels of happiness. 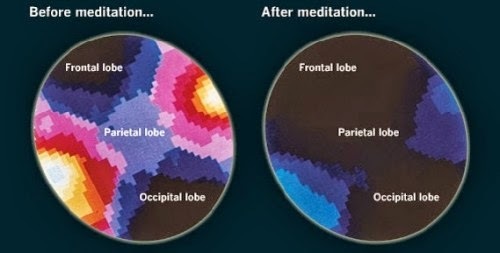 The fact that we can actually alter our brain structure through mediation is most surprising to me and somewhat reassuring that however we feel and think today isn’t permanent. In an experiment where some participants took note of things they were grateful for each day, their moods were improved just from this simple practice: The gratitude-outlook groups exhibited heightened well-being across several, though not all, of the outcome measures across the 3 studies, relative to the comparison groups. The effect on positive affect appeared to be the most robust finding. Results suggest that a conscious focus on blessings may have emotional and interpersonal benefits. The Journal of Happiness studies published a study that used letters of gratitude to test how being grateful can affect our levels of happiness: Participants included 219 men and women who wrote three letters of gratitude over a 3 week period. Results indicated that writing letters of gratitude increased participants’ happiness and life satisfaction, while decreasing depressive symptoms. As a final point, it’s interesting to note that as we get older, particularly past middle age, we tend to grow happier naturally. There’s still some debate over why this happens, but scientists have got a few ideas: Researchers, including the authors, have found that older people shown pictures of faces or situations tend to focus on and remember the happier ones more and the negative ones less. So if you thought being old would make you miserable, rest assured that it’s likely you’ll develop a more positive outlook than you probably have now. Want to chat about this article? Leave a comment below or send me an email with your thoughts.